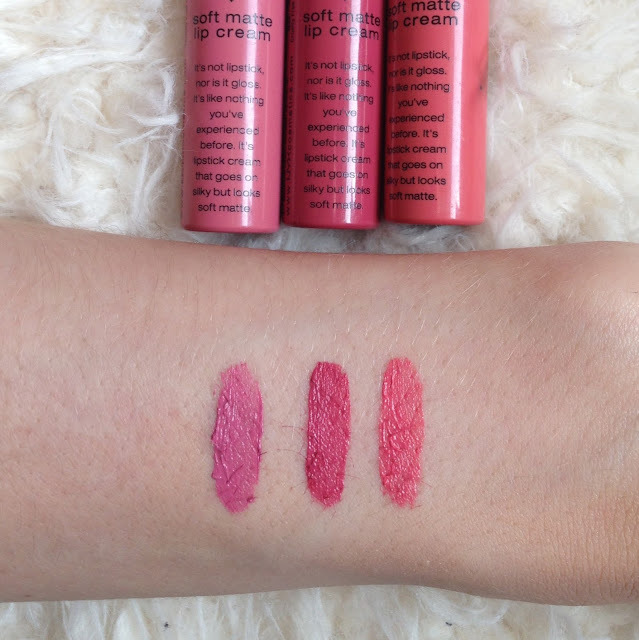 I have never tried lip products like these before. 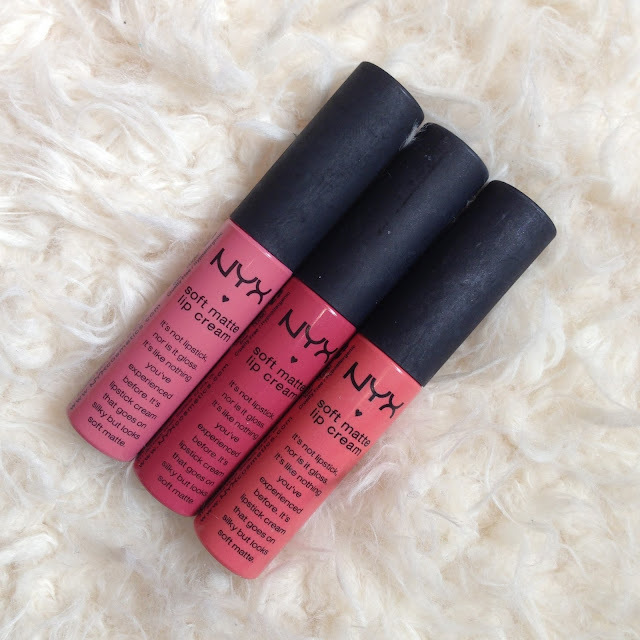 I saw NYX lip creams on a few Youtube channels and decided to get some for myself. 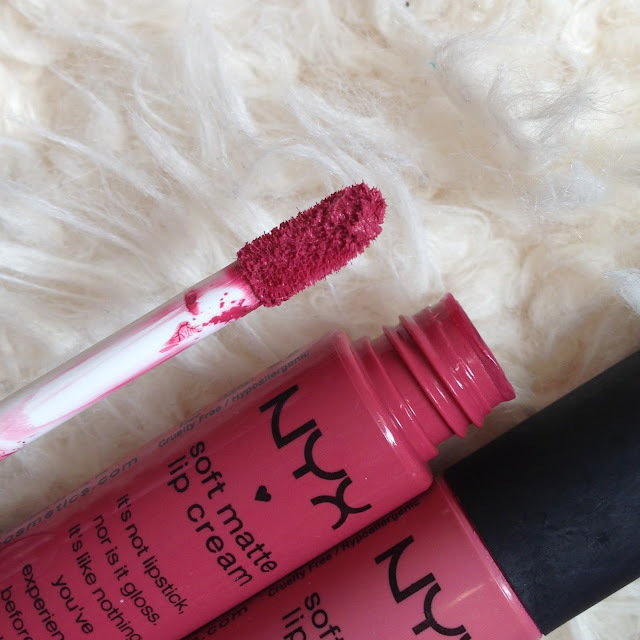 Being from the UK which does not sell NYX very freely, I got mine from eBay on a 3 for £12 deal with shipping from the US, but it looks at though they have gone up slightly in price since then. 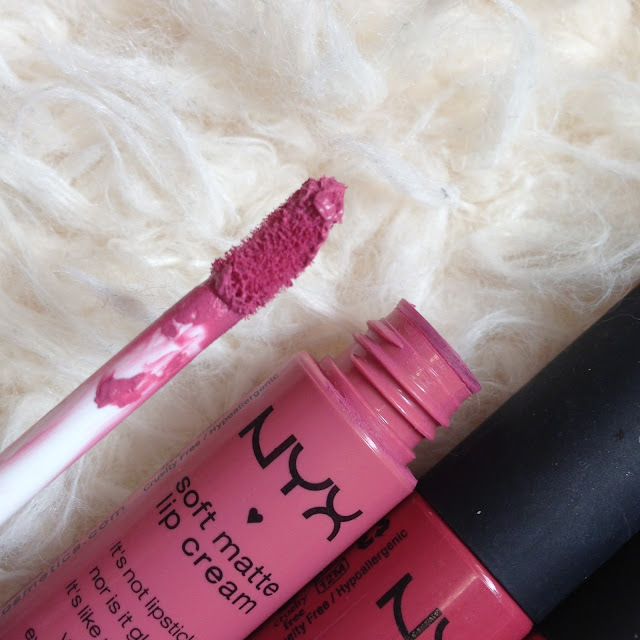 The cream slides onto the lips really smoothly but then dries as a matte finish. 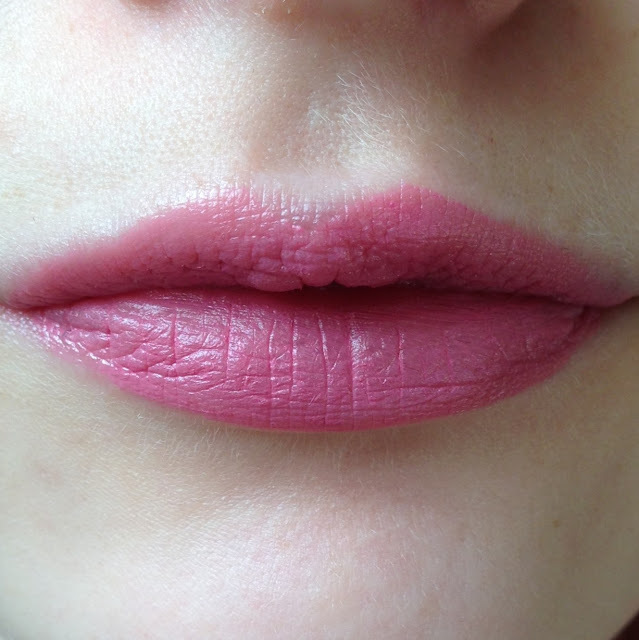 It is not at all sticky and is more of a cream stain which does last for a few hours on the lips. They have a slight scent which I quite like, but it is not at all perfumed. 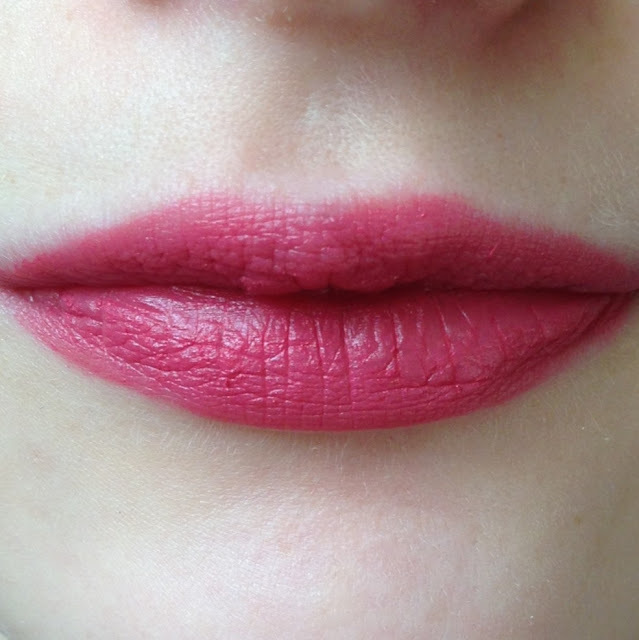 The colour pay off is gorgeous and so bright and bold, perfect for a matte, statement lip. I went for these three colours as I wanted a more coral shade (Antwerp), a light pink (Milan) and a deeper pink (San Paulo) to try and Im so glad I chose them. My favourite is probably Antwerp as it is a very pinky coral and brightens up a number of styles, but there are many more other shades to choose from also. 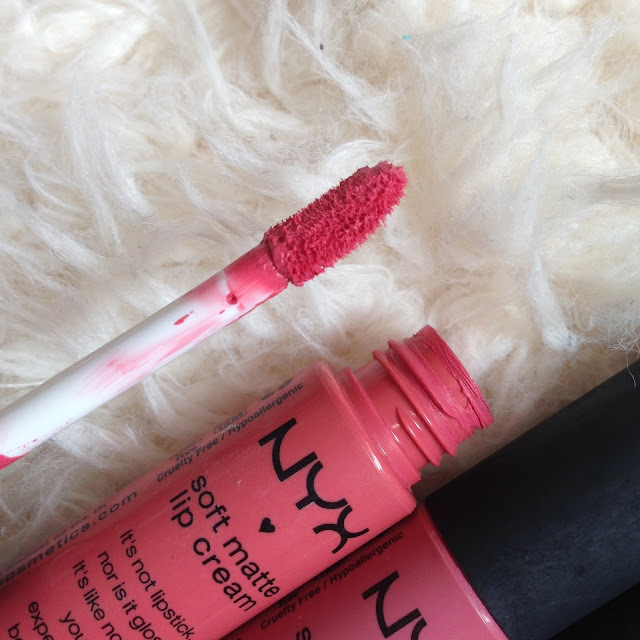 Definitely one for matte lip lovers. If anyone knows of somewhere easier to get hold of NYX in the UK, please do let me know.